It’s no doubt that the Tecno Phantom 8 was one of the best phones during it’s launched date. 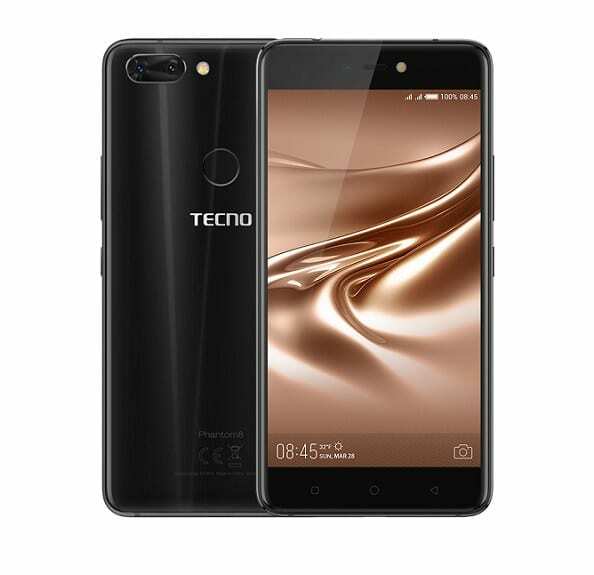 The affordable and a beautiful phone generate lots of publicity among fans and till date it still remains of the of the best phone from Tecno that you can buy. Are you still using the phone or thinking of getting it soon? Will you want to upgrade into something better in terms of design and performance? First, let’s help by taking a good look at the new phone from Tecno which is the Tecno Camon 11 Pro. The Tecno Camon 11 Pro is the advanced version of the Camon X smartphone and its sport a beautiful body design and display. The handset is also blessed with a combo camera as well and it has a notch up front. Now we will be comparing the Tecno Camon 11 Pro with the Tecno Phantom 8 smartphone. Looking at both phones together, you can easily tell the difference. The Camon 11 Pro comes in a more premium body design. The phone has a maximize bezel and a bigger screen size with a notch complementing the whole arrangement. It can easily attract buyers at first sight. The Phantom 8 is not looking bad at all, but the thick bezels on the top and bottom of the phone give it an outdated look. It also does not have a notch and it comes in a smaller screen size as well. You will get both phones in multiple colors and they are also equipped with a rear-mounted fingerprint scanner for security. In terms of display, the Camon 11 Pro is also winning with a bezel-less display size of 6.2 inches under an IPS LCD capacitive touchscreen at a resolution of 720 x 1500 pixels. The phone promise to deliver clear visuals with the help of 268 PPI density. The Phantom 8 has a screen size of 5.7-inch IPS display with a resolution of 1080 x 1920 pixels and 386 PPI density. Actually, the Phantom 8 is winning on the density which will ensure quality images than the Camon 11 Pro. So you just have to make a choice between the bigger screen with small bezels or shaper screen with quality images. The Tecno Camon 11 Pro has 16MP + 5MP rear camera with a Quad-LED flash with an impressive front-facing camera of 24MP for selfies with LED flash and Face ID. The Tecno Phantom 8, on the other hand, has a 12MP + 13MP rear camera and a LED Flash and also a 20MP front camera. Both phones will take beautiful photos. However, the Camon 11 Pro will perform better in this category. On the hardware, the Tecno Camon 11 Pro has a MediaTek Helio P22 chipset which is just perfect for both HD content and smooth gaming. The phone has a huge RAM of 6GB and PowerVR GE8320 GPU. The Tecno Phantom 8 is equipped with a MediaTek Helio P25 chipset as well with an octa-core processor that runs at 2.6 GHz. It has ARM Mali-T880 MP2 with a RAM of 6GB. They also have the same inbuilt memory of 64GB which you can also expand with micro SD card. The Camon 11 Pro runs on stock Android 8.1 Oreo whereas the Tecno Phantom 8 runs on Android 7.1 Nougat. The Tecno Camon 11 Pro has a nonremovable battery capacity of 3750 mAh, while the Phantom 8 has a nonremovable battery capacity of 3500 mAh. On the price, the Phantom 8 is selling at a price of $300, while the Camon 11 Pro will cost $222. It’s true that the Phantom 8 still remains one of the best from Tecno and the price tag still remain at the top. However, the Camon 11 Pro is a new phone and it has an impressive and modern design as well. The phone also features a better camera and battery. Since it’s more affordable, I think it’s time to upgrade. The Camon 11 Pro will make a wise buy.